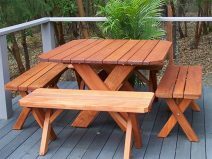 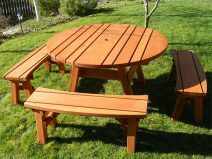 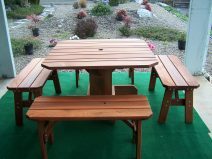 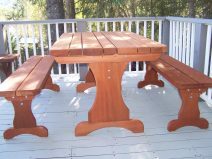 Beautifully handcrafted for sustainably harvested redwood, our outdoor dining table sets are built sturdy and durable to last in any weather. 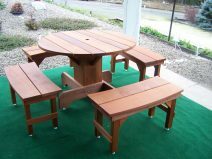 Ideal for patio and deck. 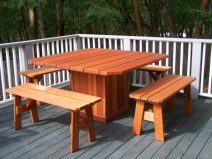 Most orders can be shipped within 10 days. 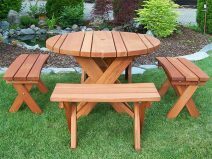 Round Old Growth Pedestal Base Table – 44 in.